Are you looking for some Zombie-shooting action? Do you like the Tower Defense type of game? 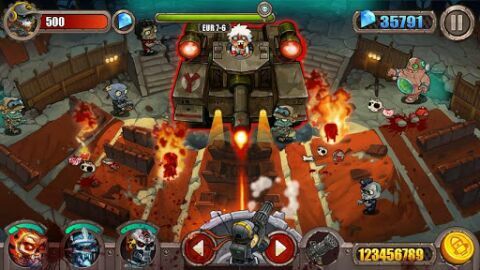 FeelingTouch Inc has released another addicting game that will surely quench your thirst for some zombie killing action, the Zombie Evil. You can download Zombie Evil for Android free below. 2013 B.C., humans are labeled as the biggest obstacle in species evolution by the insane Dr.Evil. He believes that zombies are the most perfect species, and are the true master of the world. Dr. Evil has cultivated endless zombie armies, making the whole planet into a final crisis. As the union government has no power to resist him, You, the few mercenaries alive, have to fight a way out. Ammunition is your only hope to survive! You must pursuit Dr.Evil’s footsteps through wormholes in various times and spaces to destroy his zombie legions step by step! The world awaits the savior, the dawn awaits the sunlight! Zombie Evil is free to download and does not need an internet connection to play. 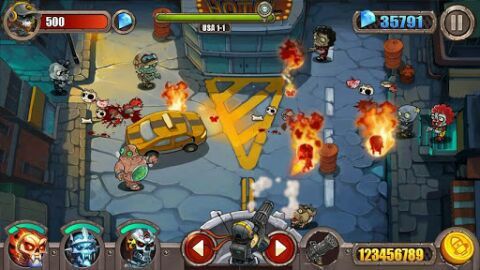 You can download Zombie Evil APK here.